The world ended. Billions died. In Jefferson County, a handful of survivors tried to carve a living out of the dying land. Some were successful. Most were eaten alive. In nearby Tulloch County, however, there were no survivors. There is only a crater, a massive scar in the face of the Earth where a huge piece of the county once was. Where that piece went, no one in the neighboring counties can say, and only one soul has any hope of discovering where Tulloch County went, why it isn't on Earth anymore. You are that one soul. 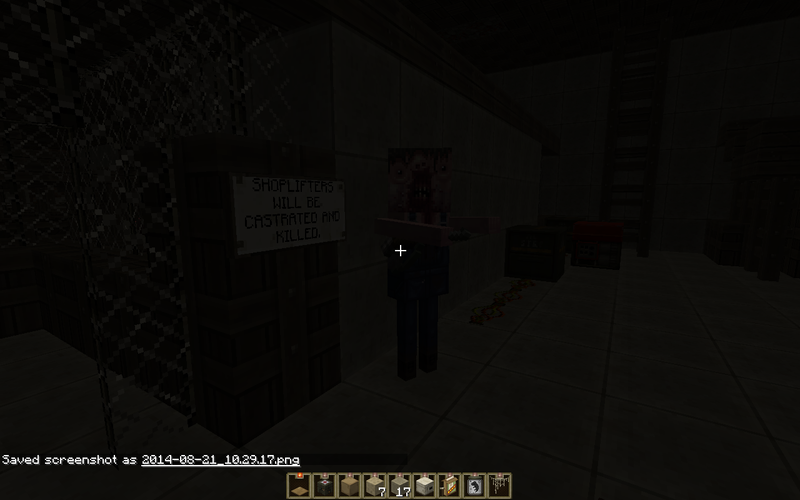 "The End Is Extremely Nigh"
This map is a free-roam survival map with quests and a ton of secrets. There are no rules! If you can break it, it's yours! Place blocks, mine, farm, break things, grief-- this map is designed so you can do whatever you want in it. Feel free to run it with mods or snapshots too! Play is open-ended and non-linear. 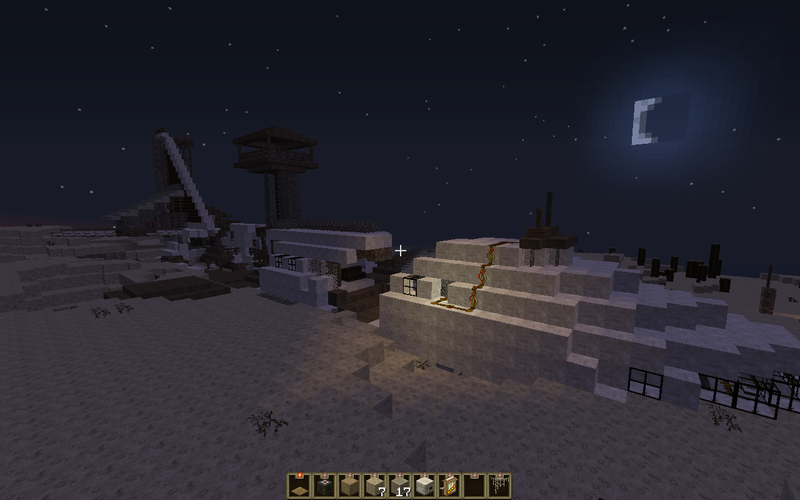 Mine, explore, build, conquer, mod or grief by yourself or with friends in this huge post-apocalyptic map. Keep an eye out for books, unique items and other secrets! Whatever your playing style is, there's something in The Wastes of Tulloch County for everyone. Unfortunately, Gasoline Dorado is forever lost. I was, however, able to recover some of the map's megabuilds and place them in The Wastes of Tulloch County! If you enjoy playing this map, please consider stopping by the creator's website at www.eswynn.com. Help support this and future projects by purchasing a book for yourself or a friend. There are dozens to choose from! 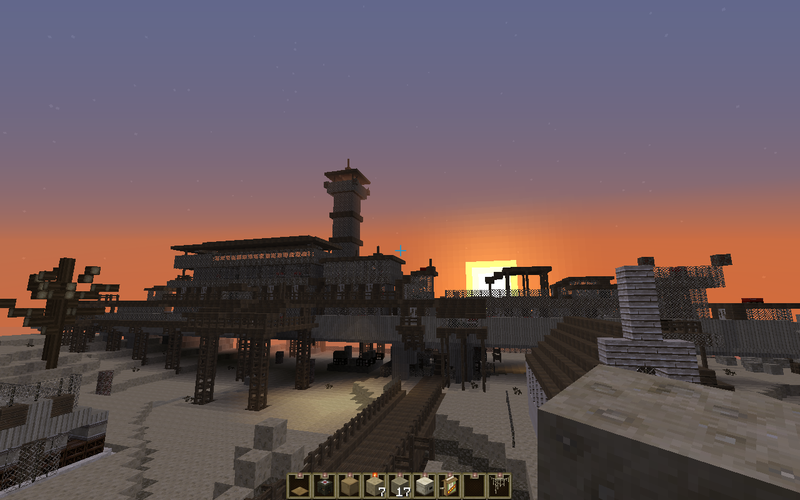 When I'm not writing, editing or publishing, I'm minecrafting. This is one hella-great map,dude! Thank you! It was fun to make. I aim to make the kinds of maps I'd like to play. How long did it take you to build this?? Yeah, it took me a while to get around to doing a new map. Well, if you don't count the megabuilds that were originally part of Gasoline Dorado, it took about three weeks, maybe 30 hours. Castrated and killed. How pleasant. And that was under the previous management. Imagine how the punishments are now! How strongly would you recommend playing Letters From a Dead Earth before this one? They happen in the same universe, but that's really the only way they're related. Both can be played as stand-alone maps. Since I'm making that web comic. I might use this new map! The airport or whatever it is and the Mega Mart Might be some sort of military base. By any chance does someone have a guide/chart type thing for the texture pack? I've never played with a map that had things changed and it's a pretty steep learning curve for us. Just change the language its in to the other form of english (UK version). Is this your last map? That would be sad if it was. I've got another one I've been tinkering with for a while-- it's a minecraft take on Drakkhen Isle, but I have a hard time staying motivated with making it. Other than that, no plans for other maps yet, but I might again at some point. Just got to wait for inspiration to strike. 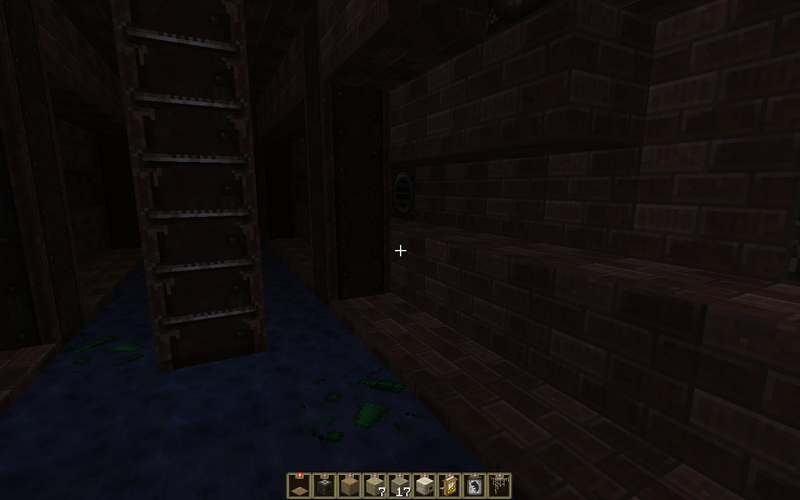 The map is awesome by the way, I'm currently exploring the sewers. Thanks! There's all kinds of fun stuff in the sewers. In terms of tools, mostly just the MC client, but I do use MCedit quite a bit. I like to build components in a flat map, then export them and place them in the main map. What about a post-apocalyptic map that's all (or mostly) underwater? I could probably work on something like that in the future. I would like a big version of Helensdale more (that was the city with all the lava, right?) than a underwater world. But I guess an underwater apocalyptic map would be cool too. Yup! Hmmm. Well, I'll keep the lava map in mind for sure. Not sure where I'll go with it, but I've got a start on the underwater map. Just a few untouched houses (full of canned goods, etc.) and a raised highway about 20 meters under a rusty tug (starting boat.) Kind of inspired by a book of mine that I wrote (lined up to be published next year through Immanion Press) that happens in a huge flooded valley full of sunken cities. Lots of diving and recovering relics of the world that was. Do something with that water world like what fallout 3 did with Point Lookout! But with more sunken areas. MCedit? Never got around to learning it, I'll try it now. A Waterworld-esque map sounds like a good idea for 1.8 since it has a lot of improvements for ocean biomes (Waterbreathing potions, and the Depth strider and a hostile underwater mob). MCedit is pretty easy to learn, and once you get the hang of it, you can do a lot with it. It's like normal Minecraft, except you're working with multi-block constructions instead of individual pieces. I have about twenty "house" schematics I've built that I use to populate city blocks, and then I go in and play with the contents of their forges/dispensors, etc. manually. @Rascal-- with the New Orleans aesthetic? Eh, I'll think about it. I was thinking more like pearl divers in the waters over a sunken Los Angeles or New York. Also, I like that water breathing potions only really require the ability to fish to make. 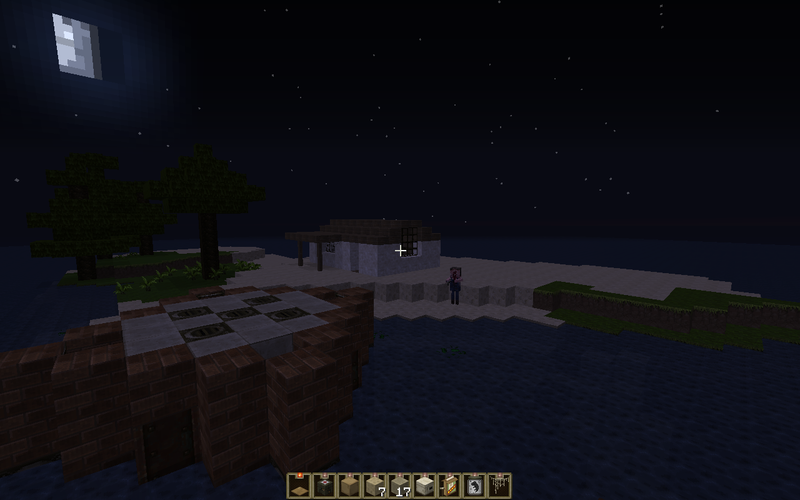 With a steady supply of wood and web, you could pull all kinds of cool stuff out of the sunken city.